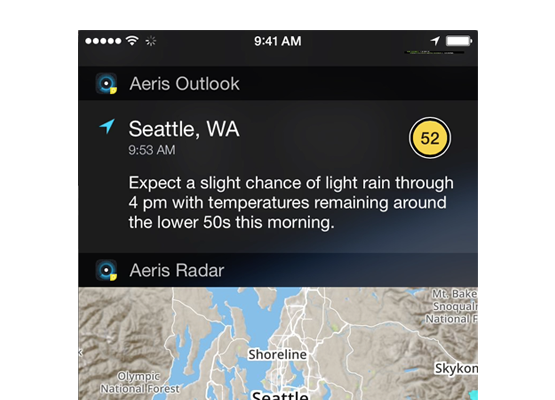 Using your current GPS location, Aeris Pulse highlights where the weather threats are relative to you. 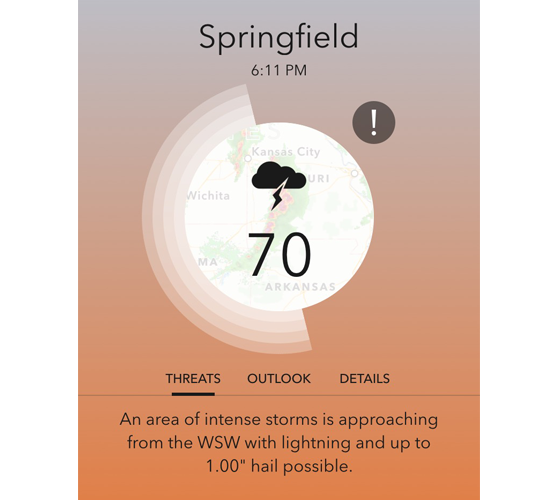 Aeris Pulse informs you to a variety of threats, whether it’s a severe thunderstorm with large hail and lightning or a winter storm with ice and heavy snow. All of this is immediately available when you launch the app in an easy-to-read, clean interface. 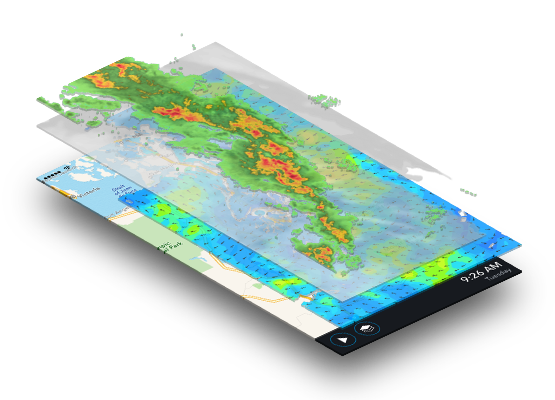 Offers a full-featured interactive weather map and weather data layers, including radar, storm reports, storm cells, future precipitation and many more. Data layers can be animated across past and future time ranges. You can save all of your favorite locations, which are only a quick swipe away. Quickly view the current conditions and any threats for all of your locations. 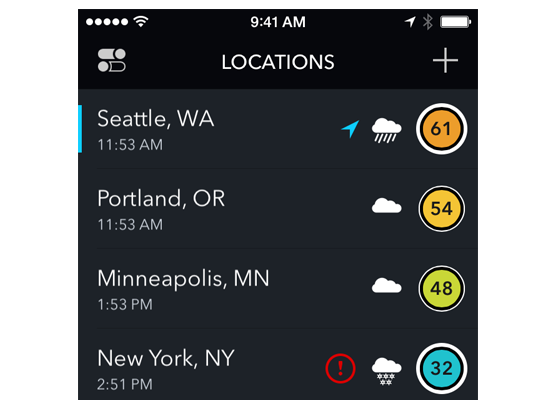 Quickly view the current weather conditions, short-term forecast outlook and any imminent weather threats for your location without even opening the app. 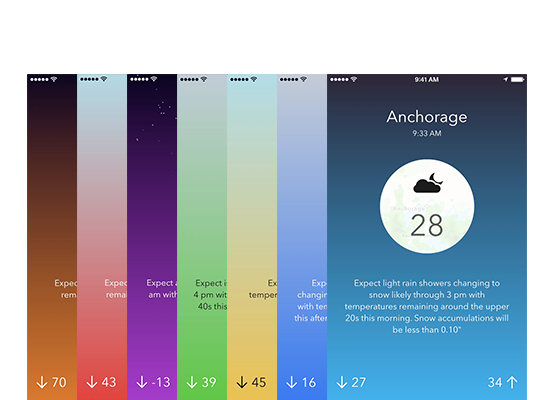 Aeris Pulse uses color throughout to depict sky conditions, time of day and temperatures for all weather elements, which means that its overall aesthetic will change just as frequently as the weather.